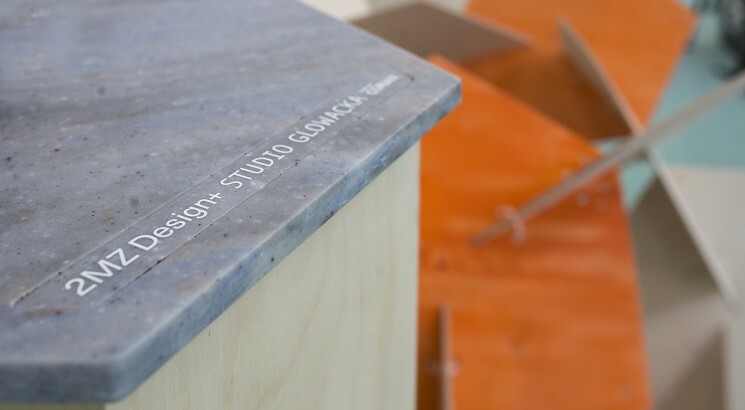 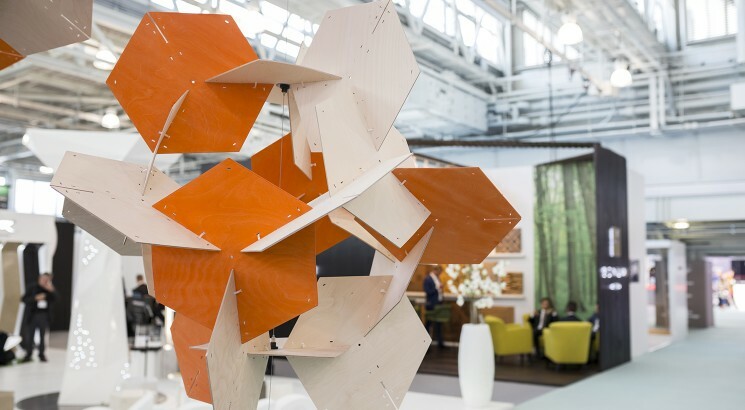 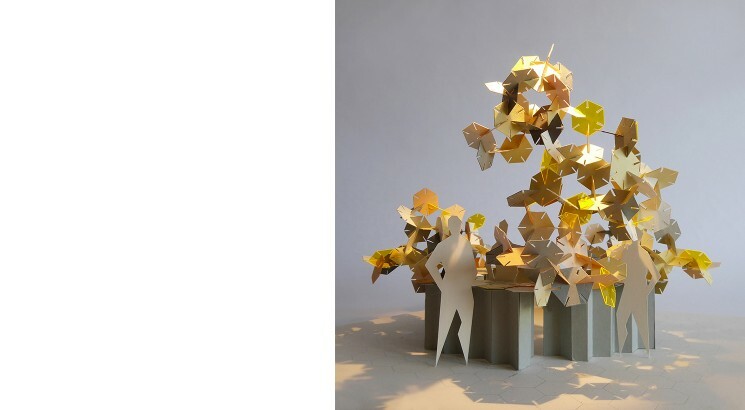 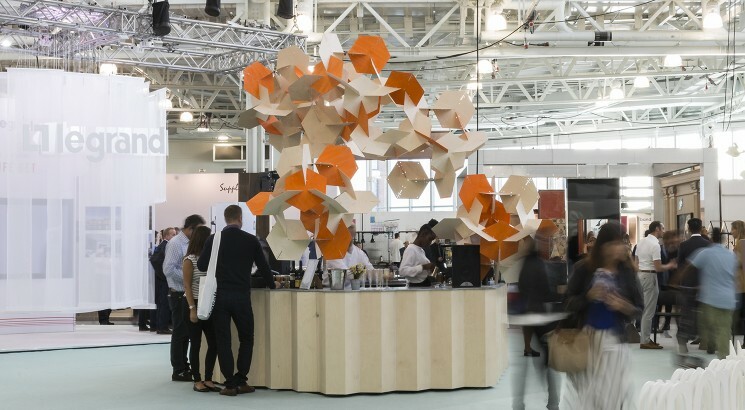 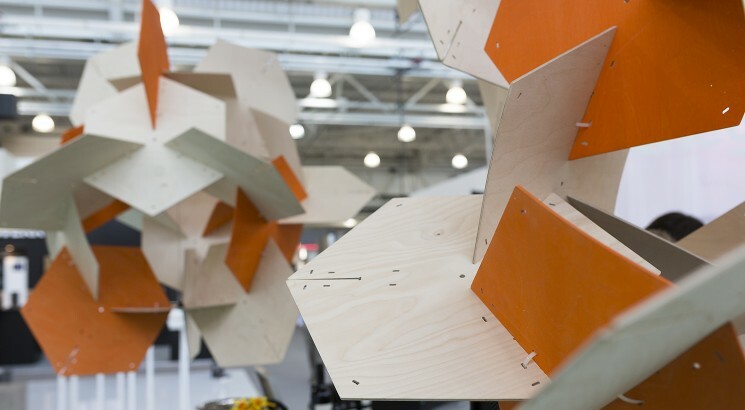 The Materials Cloud bar, designed by Studio Glowacka in collaboration with specialist fabricators 2MZ, was a new focus for the Design & Build section of this year’s 100% Design show. 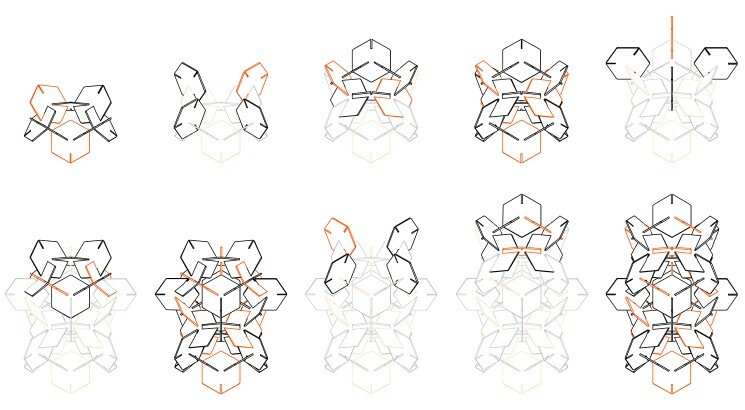 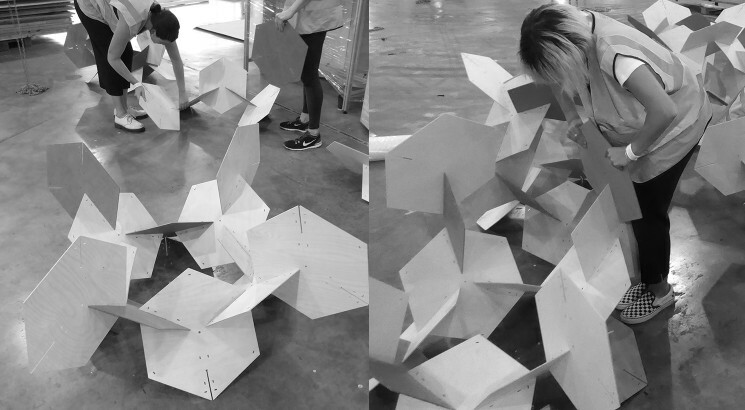 The inspiration was taken from modular construction toys popular in the 1970s, which interlock to create shapes and structures. 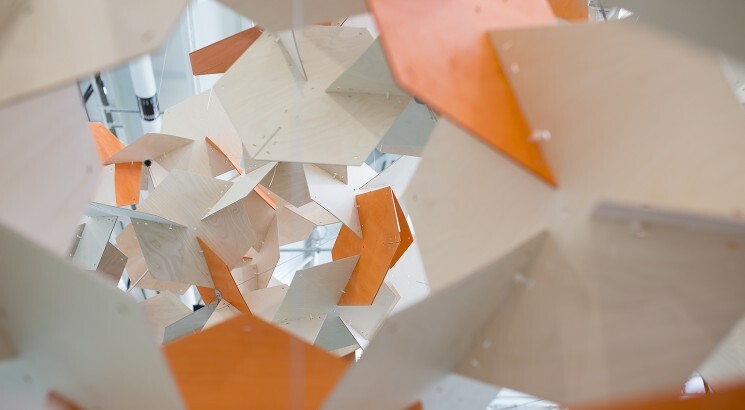 Taking shape as geometric orbs of interlocking plywood hexagons above the Corian bar surface, the Materials Cloud bar evoked a sense of playful exploration in construction. 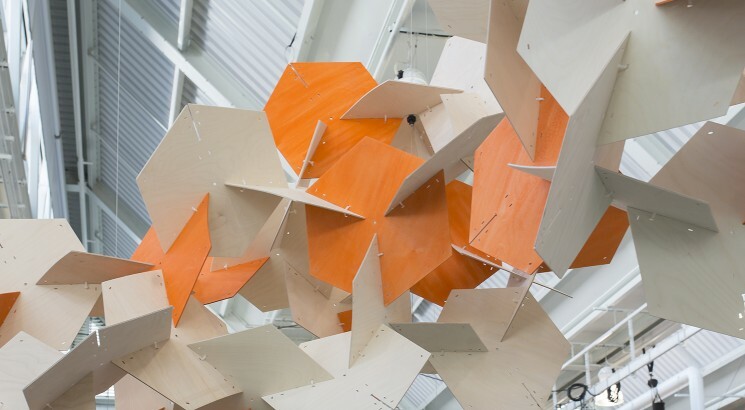 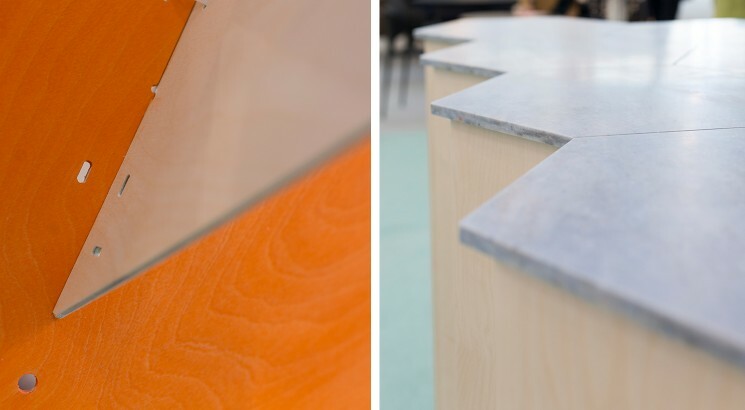 Plywood was chosen for its inherent flexibility and natural colour and grain variation, and Corian was used to create a hard wearing bar surface etched with a tessellating hexagon pattern. 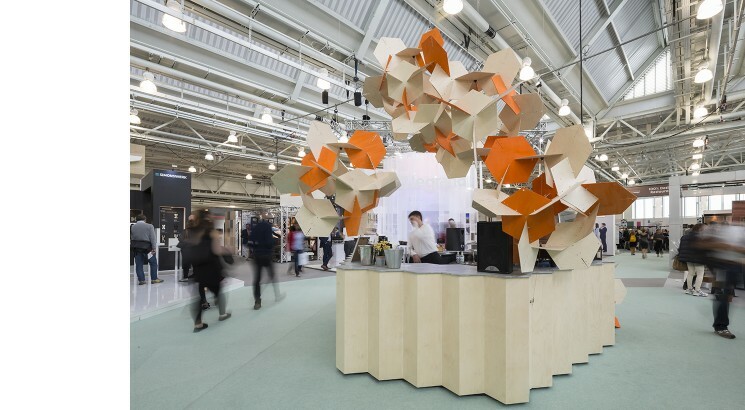 Driven by a desire to create less waste and more value from temporary projects, the Materials Cloud bar was designed to be reusable and able to be reconfigured at different future locations. 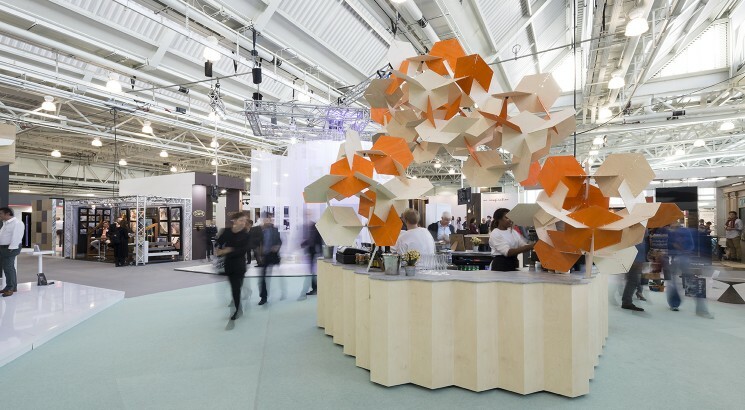 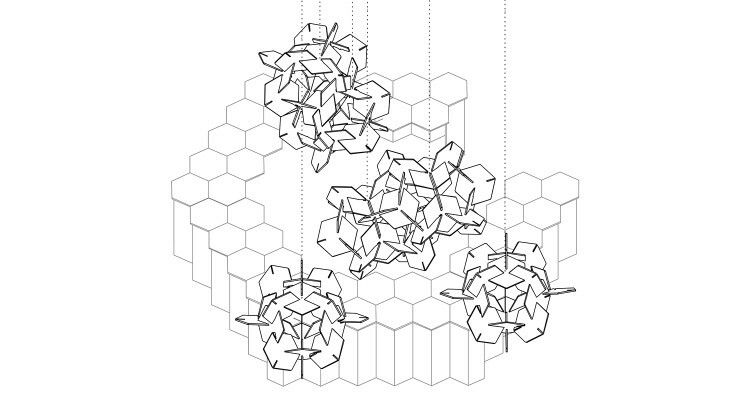 The hexagon orbs easily disassemble and flat pack with the reusable suspension components, and the bar counter comes in five identical, stackable sections that can be reconfigured as a round or linear bar counter or as single tables.